The Giver of good favors. Om suprasAdAya namah. Sobhanah prasAdha dAtRtvAt suprasAdah - For those who surrenderto Him He confers all that is good. In fact He goes further and confersthe good to those who are His enemies as well, as in the cases of rAvaNa, SiSupAla, duryodhana, etc., by conferring moksha on them ultimately. In other words, whatever bhagavAn confers, it is for the good of the recipient. This concept is repeatedly pointed by svAmideSikan in the dayA-Satakam when he describes the dayA aspects of the different incarnations. Thus for instance, in the paraSu-rAma incarnation, when He destroyed the evil kshatriya kings, He really got rid of their sins, and sent them to moksha. In the kalki incarnation,when He will destroy those at the end of the kali-yuga who are soaked in sin, it is only to wash them of their sins and re-establish a dharma-oriented kRta yuga where their jIva-s can flourish again that this act of His is undertaken. The writer in dharma cakram points out that there are those of us who will do good to those who are bad to us, in addition to those who follow the rule of an eye for an eye, and worse still, there are those who do bad to those who are good to them. SrI mahA-vishNu is one who does always what is good for everyone irrespective of how they are towards Him. Meditation on Lord vishNu with this guNa implied by this nAma will give us the right frame of mind to follow the sAttvic path. He with a clear mind; Of delightful nature.Om prasannAtmane namah. He is of delightful nature because He has no desires and no wants since He has realized all desires - avApta-sarva-kamatvAt. Or because He is extremely merciful by nature - karuNArdra-svabhAvAt. Or He is prasannAtmA because His mind is not contaminated by passion (rajas) and inertia (tamas). SrI P.B. aNNangarAcArya svAmi points out that He has a clear mind because He is unaffected by likes and dislikes. SrI cinmayAnanda gives the interpretation that He is All-Blissful because He is not affected by sorrows resulting from association with matter and its imperfections (guNa-s). He is of a clear mind, without being affected by the tamasic and rajasic guNa-s. The dharma cakram writer gives the example of the three brothers, rAvaNa, kumbhakarNa, and vibhIshaNa, respectively dominated by rajasic, tAmasic, and sattvic guNa-s. rAvaNa was indulging in non-righteous acts under the influence of kAma, and brought self-destruction as a result. Kumbha-karNa was inactive under the influence of tamas. VibhIshaNa on the other hand had the clarity of mind aided by his sattvic guNa. He could save SrIlankA from destruction and could attain the grace of the Lord because of his clear thinking. Meditating on the nAma prasannAtmA will lead to the clarity of mind that bhIshma could command, when he advised duryodhana prior to the start of the mahAbhArata war that they won't win a war fought on immoral and unethical grounds, and the support of the Lord will be on the side of dharma. prasannatA results out of the dominance of sattva guNa. The Creator of the Universe. Om viSva-sRje namah. viSvam sRjati yo sa viSva-sRt. He created this Universe outof kindness unmindful of its merits and deficiencies. In Sankara-pATham, this nAma is given as viSva-dhRg - the Overseer of the cosmos. Prof. SrInivAsa rAghavan points in his writings in SrI nRsimha priyA that other pATha-s are viSva-sRshT and viSva-sRg. In the context of the interpretation based on viSva-dhRg - the overseer or ruler of the cosmos, the dharma cakram commentator rhetorically asks the question - Do we rule our mind, or does our mind rule us? If we learn to rule over our mind, then we can rule our family, our nation, etc., and also know the Ruler of everything. And we get this conditioning of our mind through meditation on the Lord who is viSva-dhRg. SrI satyadevo vAsisshTha gives the meaning based on the root dhRsh prAgalbhye to be bold, confident, proud, or brave. He is viSva-dRk because He has created this world with skill (cAturya), prouldy, boldly. Everything He has created, including the different seasons, the flowers, the different forms of life, etc., are constantly displaying His brilliance in the different ways they reproduce themselves, the different forms in which they appear, etc. He who pervades all things and protects them. Om viSvabhug-vibhave namah. vyApya bhunakti - pAlayati iti viSvabhug-vibhuh. SrI Bhattar interprets this phrase as one nAma, whereas SrI Sankara interprets it as consisting of two nAma-s, viSva-bhuk and vibhuh. The interpretation for viSva-bhuk is given as viSvam bhu~nkte -the Enjoyer of the Cosmos, or ViSvam bhunakti - The Protector. The dharma cakram writer points out that He is the Protector for the Universe in its expressed form with all its created beings or in its unexpressed or pralaya form as well. This compares with the situation of mortals like us who cannot do any good in protecting this world either in our wakeful state or in our sleep state. SrI cinmayAnanda gives the interpretation that He enjoys or swallows (bhuk) all experiences (viSva). The Supreme Consciousness, apparently conditioned by the mind and intellect, is the experiencer of joys and sorrows. Or, the term can mean "One who absorbs all names and forms unto Himself at the time of pralaya". SrI rAdhAkRshNa SAstri gives the reference to tiattirIya AraNyaka 10.91 - prabhuh prINAti viSva-bhuk. SrI satyadevo vAsishTha gives an alternate interpretation based on bhuj kautilye to bend, to curve, and says that the nAma can mean that He established the world by bending or extending it in all eight directions. Since SrI Sankara interprets vibhuh as a separate name, he gives the meaning - One with multi-form - vividham bhavati iti vibhuh. He became many from HiraNyagarbha downwards. Vividham bhAvayati is another interpretation, again referring to the multi-forms. SrI rAdhAkRshNaSAstri gives the meaning that He is vibhu because He fills everything everywhere - mahAntam vibhum AtmAnam - kaThopanishad 2.22. The dharmacakram writer elaborates on the multi-form by giving reference to Lord kRshNa's words in the gItA in Chapter 10 starting with Slokam 21 and going up to Slokam 38, where bhagavAn gives several examples of His vibhUti-s, and then says in Slokam 40 that there is really no limit to His vibhUti-s.
One who adores those who are good and wise. SatkAram is worship. SrI rAma was known as sajjanaprati pUjakah - He who worships those in return who are good to Him. SrI radAdhAkRshNa SAstri gives the reference to rAmAyaNa -bahu-SrutAnAm vRddhAnAm brAhmaNAnAm upAsitA (2-2-33) - He worships those who are learned, old in age, and brAhmaNas. The writer in dharma cakram points out the example of Lord rAma praising hanumAn as soon as He saw him. The Lord rejoices to find those who are in this category. The lesson we should take from this nAma is that we should do acts that will make us fit for this kind of recognition. Acts that fall in this category are those that give peace of mind and inner happiness to the doer. By corollary, we should desist from acts which lead to a feeling of self-centered accomplishment, pride, etc. Our acts should be directed to His service, and not for the satisfaction of the human ego. He who is worshipped by the sAdhus (even by those who deserve to be worshipped). The word satkRta means pUjita - One who is worshipped. He is the Object of worship for everyone. The nirukti summarizes SrIBhattar's vyAkhyAna for this nAma as arcAdibhih sajjanaih yah pUjitahsatkRtah smRtah. Prof. SrInivAsa rAghavAcArya svAmi in his commentary in nRsimha priyA points out that when the ekAntins who worhsip only mahAvishNu make their offerings to Him, no matter how small the offering is, He considers it big by considering it as worthy of His SupremeStatus, and receives through His head what is offered at His feet, andreceives it personally and not through other intermediary gods. As if this is not enough, He then feels that whatever He does to His devotees is inadequate in return (recall Lord kRshNa's feeling of being indebted to draupati for ever when she cried out for help and He helped but not by coming in person right away). The dharma cakram writer points ou tthat as a means of developing this devotion to Him, our vedas ask us to worship our mother, our father, our teacher - mAtR devo bhava,pitRdevo bhava, AcArya devo bhava. One who carries out, or sAdhnoti itisAdhuh - One who makes it possible to carry out, through various means that He has provided for the benefit of the beings that He has created. Going as a messenger, acting as a charioteer, etc. are examples of His carrying out His undertaking. Even though Lord kRshNa was Himself a king like duryodhana, He did not mind doing the work of a messenger, and did not mind doing the workof a charioteer which is like that of a servant to arjuna. Thus, sAdhuhere refers to His act of carrying out whatever He has to do to take care of His devotees. He takes several incarnations in which He suffers and gets insulted by the likes of duryodhana, SiSupAla, rAvaNa etc., and appears as a fish, a boar, etc., and undergoes suffering and misery as in the case of the rAma incarnation, all because He is a sAdhu, who carries out what He has to in order to help His devotees. The nAma sAdhu has also been interpreted as One who is righteous, i.e., conducts Himself according to the code laid in the vedas. And because He follows the righteous path always, He accomplishes whatever He undertakes always. The lesson to take here is(dharma cakram) that we should always follow the righteous path in everything we do, and this will not only endear us to Lord vishNu, but also lead to success in our just endeavors. The Concealer (of His greatness from the non-devotees).Om jahnave namah. This nAma is derived from the root hA - tyAge to forsake. He leads those devoid of devotion away from the Supreme. SrI Bhattar gives the following quote from udyoga parva: "cakram tad-vAsudevasya mAyayA vartate vibhoh | sApahnuvam pANdaveshu ceshTate rAhasattamah || (udyogaparva 6.7.2) "That discus of the Omni-present vAsudeva acts by His will for the benefit of the pANdavas, being invisible (to the eyes of others), O Great King!". SrI Sankara gives an addtional interpretation that He is jahnu because He is the disintegrator of the Universe at the time of pralaya -janAn samhAra-samaye apahnute apanayati iti jahnuh. SrI rAdhAkRshNa SAstri gives the incidence of Sage Jahnu whohid the Ganges when bhagIrata brought Ganges(jAhanavI) to the Earth.Similarly bhagavAn hides the Universe during pralaya into Himself, andso He is jahnu. In dharma cakram, we find a description of how His act of hidingsome things from us is really devoted to helping us in our day-to-daylife until we can really realize Him. Thus it is for our benefit thatwe forget some of our bad experiences of the past, and do not know someof the future incidences in our life ahead of time. In fact, thisprocess of things being hidden intermittently is the law of life, as forinstance the child being hidden in the mother's womb before being born,the seed being hidden underground before it sprouts, the time of ourbody's demise being hidden from us till the incident happens, theoutcome of a contest between two competing teams being hidden from themtill the incident concludes, and the same way, the jiva-s being hiddenin Him before the world is re-created after pralaya. This nAma should help us forget the wrong-doings of others, and remember only the goodthings in life. This training will help us realize Him in the process,and then He does not have to use His act of hiding anything from us. SrI satyadevo vAsisshTha also starts with the root hA tyAge togive up, and interprets the nAma to mean that He is jahnu because He isdevoid of the defects such as kAma, krodha, lobha, moha, mada, andmAtsarya, and is Suddha svarUpa. Ganges is jAhnavI because Gangeswashes away the sins. The Supporter of the hosts of souls. "Whatever object there is in the Universe that is seen or heard, nArAyaNa remains pervading all that, both inside and outside". SrI Bhattar gives several references to bring out the greatness of this nAma. "eko ha vai nArAyaNa AsIt| na brhamA na ISAnah na Apah naagnishomi yau na eme dyAvA pRthvI na nakshatrANina sUryah na candramAh| (mahopanishad) etc. "narAjjAtAni tattvAni nArANIti tato vidhuh | tAnyeva cAyanam tasya tena nArAyaNah smRtah || (anu.Parva. 13.1.2) "The tattva-s are called nAra since they are sprung from nara (Atman); He is called nArAyaNa as they are His abode". Another interpretation he gives is "narANAm jIvAnAm ayanatvAt pralaya iti vA -Whom the jIva-s appraoch and enter (He is the abode of the beings during pralaya). This is supported by 'yatpryantyabhisamviSanti' - Whom they approach and enter - taittirIya upanishad 3.1. Or He is nArAyaNa since He is the seat of the nAra-s or the tattva-s - nArANAm ayanam yasmAttasmAn-nArAyaNah smRtah - brahmavaivartapurANa. (Note that this third interpretation is that He is their seat, whereas the first interpretation was that they are His seat). Manu-smRti gives the following definition - "Apo nArAh iti proktAh Apo vai narasUnavah | tA yadasyAyanam pUrvam tasmAn-nArAyaNah smRtah ||(manu-smRti 1.10) "nAra refers to waters (the panca-bhUta-s before they inter-mixed and became visible through forms etc.) which He created. As they are His original abode (i.e., during prlaya), He is called nArAyaNa". SrI satyadevo vAsishTha draws the parallel between the world being born out of the waters in which nArAyaNa is floating, and the child that is born out of the mother's womb after being supported by the waters in the mother's body. 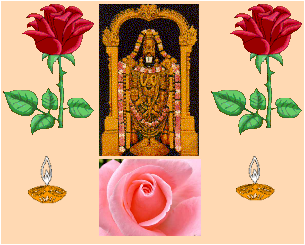 In narasimha purANa, we have the following - "nArAyaNAya nama ityayameva satyah samsAra ghora visha samharaNAya mantrah | SRNvantu bhavyamatayo yatayo'starAgA uccaistarAmupadiSAmyaham Urdhva-bAhuh || (narasimha purANa18.31) "This is the real mantra that destroys the deadly poison of samasAra - nArAyaNAya namah. This I proclaim loudly with uplifted hands; let the ascetics, with passions curbed and intelects clear, listen to me". SrI rAdhAkRshNa SAstri reminds us that the mantra-devatA that we worship through the gAyatri mantra is SrIman nArAyaNa - dhyeyah sadAsavitRmandala madhyavartI nArAyaNah. The dharma cakram writer refers us to divya-prabandham - "nalam tarum Sollai nAn kaNdu koNdEn nArAyaNAennum nAmam" to remind us of the greatness of this nAma japam. It is very important to note SrI Bhattar's concluding statemento f his vyAkhyAnam on this nAma. He points out that the secret of this sacred mantra should only be properly learned by approaching an AcArya, and not by reading the explanations like the one presented. His words are that he does not want to say anything more on this nAma because its greatness can only be learned from an AcArya, and is thus a matter that should be seen by four eyes (the two eyes of the disciple and the two eyes of the AcArya) and not by six eyes viz. he does not want to add his two eyes further. So no amount of fyrther explanation on paper can bring out the greatness of this nAma. a) He who is imperishable. SrI Bhattar gives the meaning that nara refers to one with imperishable possessions, both sentient and non-sentient (both of which are eternal by nature). SrI Sankara gives the meaning "Leader" to nara, and gives the quote from vyAsa (the source is not identified in my book) - nayati iti narah proktah paramAtmA sanAtanah - Because He directs everything, the eternal paramAtman is called nara. SrI satyadevo vAsishTha also starts with the root as nR nayeto lead, and gives the meaning as nayati - One who leads, or nRNati -One who takes things away. He is nara since He takes this Universe from kalpa to kalpa through many kalpa-s. nara also refers to water or fluid, since this takes things from one place to another as it flows. That there was only water everywhere before sRshTi took place is supported by the following vedic quote - tama AsIt tamasAgUDhamagre'prakRtam salilam sarvamA idam (Rg 10.129.3). The dharma cakram writer points out that just as a mother leads a child with the child's welfare in mind, and does not mind disciplining the child for its own good when the child goes and eats dirt, or the teacher tries to discipline a student who is not learning the knowledge from the teacher, so also nara, viz. mahAvisNu, leads us all for our good even if He has to mete out some punishment occasionally to get our ways straightened out.